Welcome to this Propellerhead Reason tutorial site. On Reasonexperts.com we provide almost on a daily basis a new article about setting up something creative using Reason 9. On this page you can find a lot of useful tips and tricks for you music production techniques. The tutorials we provide are totally free, and come with pictures, full explanations, videos and reason files (in RNS format or Reason format, depending on the version). We upload new reason tutorials on youtube on our youtube / reasonexperts channel on a regular basis. I am Hydlide of Reason experts. In this article, I am going to create a combinator that would be similar as an approach to how the NNXT internally works. Since I have heard a lot of times, we need a better sampler inside Reason. Yet at this point, we have a better sampler since Reason 10, Grain sample manipulator. As recent events, things have been quite hectic as of February this year. Time to sum it all up for you guys why I haven't really been uploading videos as lately. Have fun unsubscribing (since you are good at it when I upload a video like this). I am Hydlide. Welcome to my vlog. Today I will do a video about my favorite VST plugins so far for 2019. 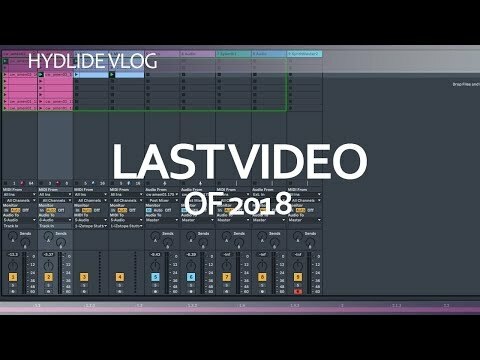 While this is just a top 5 list of vst plugins, I can imagine some people will have a different preference and just downvote this video because "their" favorite plugin is not mentioned in this list. If you have any suggestions what you prefer to be your favorite, let me know in the comment section below. The scrooo is a polyphonic software synthesizer plug-in. This synth is a combination of formants and FM while trying to be unique at it. keyzone classic is a free Piano VST that tries to do an awesome job at playing a piano. This piano set comes with round robin samples playing yamaha paino, steinway piano, and rhodes pianos. The ample guitar is an accoustic guitar plugin that uses 2 round robin tables where you can mix 2 different mic settings. The full version uses more mics and different round robin settings. I must admit I was quite astonished at the quality of this free version (usually these things sound very stiff, while this one sounds very organic even while being a freebee). Chamber Orchestra VST (based on versilian studios free orchestra: https://vis.versilstudios.com/vsco-pro.html). The versilian studio repo is a general-purpose sample library created by Versilian Studios LLC for the purpose of introducing a set of quality, publicly available samples suitable for use in software and media of all kinds. Anyway, have lots of fun and I will talk to you later. Hi, I am Hydlide and welcome to my vlog. 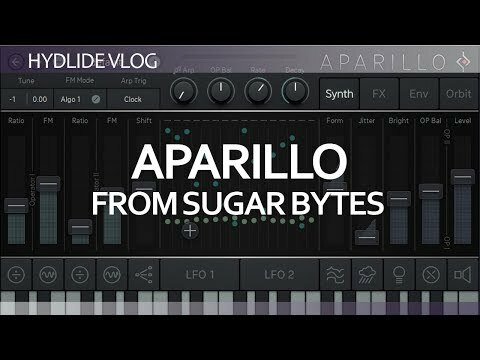 Today I want to do a little sound design 101 tutorial using Aparillo, a new synth made by sugar bytes. In short, Aparillo is a unique type of Frequency modulation synth. In this video, I will do a basic explanation about how Frequency Modulation works. After this, I will explain what makes Aparillo so unique compared to traditional FM synths. This VST is quite unique at what it does (that is why I got it in the first place). Hi, I am Hydlide. Welcome to my vlog. Today I am going to share my opinion on gathering a VST plugin for playing the Ukulele. While I am currently exploring different string plugins (eg: guitars, acoustic guitars and bass guitars), I found the library of AmpleSound. The major issue I had with the ethnic ukulele at first was the price tag $119 vs the UKU price tag of $69. Even while I do think I will eventually get the Ample Ethno Ukulele III. But I have different priorities at the moment. The only downside with this VST plugin is that it requires a 'loader', like in this case it is called the workstation. Kind of like using Kontakt, but in this case, it is UVI their own thing I think. The UKU has different play modes, Solo, chords, and patterns. While eventually, I got this one because of the chord player thingy. 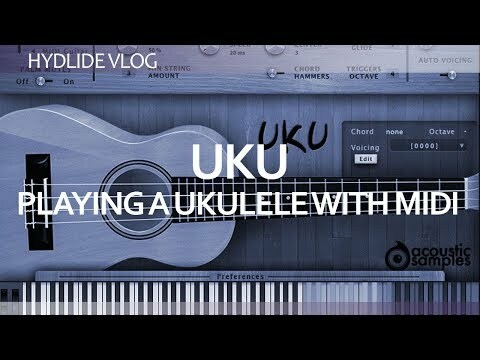 Anyway, have fun with this VST tutorial about the UKU ukulele. And I will talk to you later. Hi I am Hydlide, welcome to my vlog. 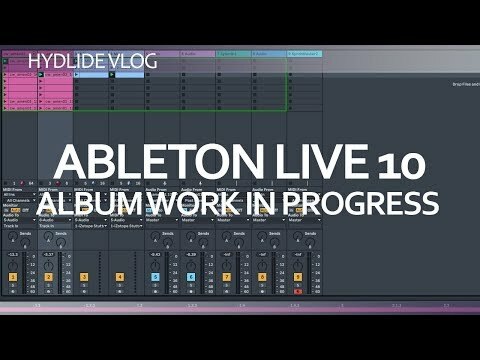 Today I am going to post a video tutorial about how I am making an album in Ableton Live 10. The album I am making is all about ambient music and IDM / Glitch while setting up an enviroment that works in the context I am making this album work more or less. The main ingredients are using a lot of dune 3 patches (as shown in different videos I have posted not so long ago). While additionally I am using a lot of Kontakt libraries that came with Komplete 12. Eventually I will give a complete tour on Komplete 12 and what it all contains as single videos later. But currently I am just focussing on producing music the way I like to make it. The productions are made in Ableton Live and this is partially my learning curve on learning how to begin with Ableton Live to begin with. While I know a lot about sound design, and moving different platforms, why not start of with making a complete albume while exploring to learn a new DAW while doing so. This is my Journey, and this is the way I prefer to share it. Have lots of fun, and I will talk to you later! I am Hydlide, welcome to my vlog. 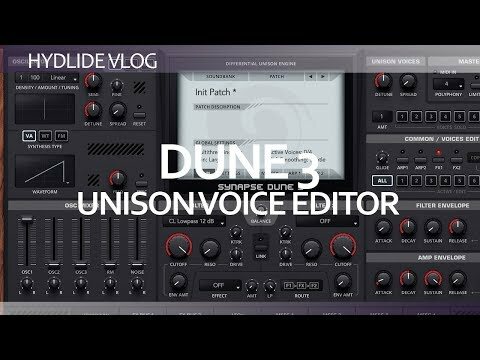 Today I am going to talk about a unique feature of Dune 3. the voice editor mainly looking at the unison panel. Because I can tell... this is freaking awesome sauce! The voices can have their own unique set of filters and settings. This is done using the voice editor that came with Dune 3. It kind of lack overview what really is happening (since I have overlooked it's potential even while browsing just patches). But at some point I started to notice different filter settings per unison. And this just blew my mind while seeing this. There for, this video. I am Hydlide, welcome to my vlog. 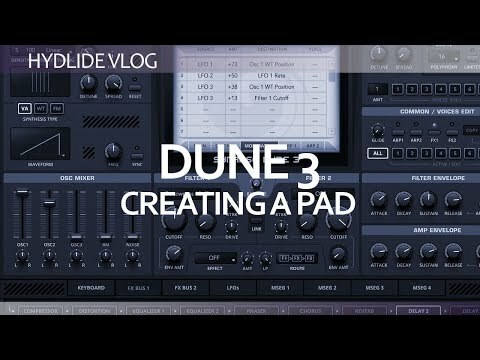 In this video I will be explaining how to create a pad using Dune 3. While doing so, I will also explain the 'why' I am making certain choices while creating this pad. In sound design you will have to make a lot of choices while making a specific sound work. If you have experience, you can basically grab any synthesizer that is out there and create your own custom sound while doing so, for that specific situation. On this vlog, I will randomly make these type of videos where I explain the basic reasons why I am making this sound, how this sound is being created and how I am using a sound in my music productions. Today I am going to give my personal opinion about Pigments from Arturia. Pigments is a Wavetable synthesizer where the idea here is to use different parts of a wavetable and morph this in to your own unique sound. 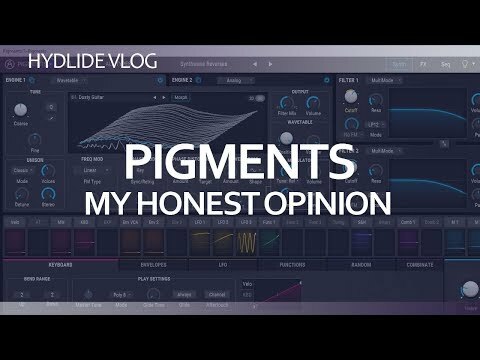 The major issue I am having with this 'idea' and concept is that Pigments does not really add anything new to the table regarding to wavetable synthesis. Especially if you compare this with existing VSTs out there, like Massive from Native instruments and Serum from Xfer. Even better, this device looks and feels more like Arturia their take on making their version of Serum (no, not Expanse lol). While their morphing engine works pretty well while using wavetables, if you play samples directly it feels odd and weird. This is why I would recommend that they would implemt a feature that allows a method where you can choose how to play back the morph method. While a lot of this stuff I am saying is partially my own opinion. There are some positive things I can add to the table. For instance, the way they implemented their modulation methods is quite awesome to work with (compared to other synths). But if you would ask my in my face, would you get this while having Massive and Serum... Today I would say no. Today I am going to talk briefly about the work in progress on an Ambient Album I am working on that should work eventually in a space game (or something similar). The main theme I am going for is borrowing the idea from the Terminator 2 theme, but do that with a complete twist. The idea here is to make different arrangements based on that theme that I have been playing live, but do different variations, add some clever sound design to alter the sounds in different angles. Currently, I have no clue on what the timeline is. but expect it to be shared somewhere early as a music album in 2019.
today I will be uploading my last video for 2018. This video was kind of recorded in a way at some level I would normally record podcasts. So you can see this as a podcast. 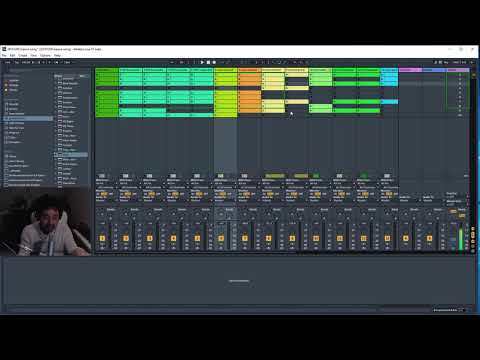 In this video I want to introduce you to an idea I am using to explore Ableton Live further. To get my stuff going I am going to start writing myself an album that fits in the realm of Ambient Music with a touch of IDM/Glitch (since I am really fond of this combination myself). The main goal here is to focus on 'space anthem' type of themes (kind of like Eve Online, Elite Dangerous and X4:Foundations... that type of environment). Eventually I want to share my complete album as a whole to a game company who is in to this and see how they take this idea. While there is still a lot of work to be done (think about 30-ish tracks) I might eventually have this complete project done somewhere at the end of januari. And when done so I will most likely share the complete results on this channel (that would be fun!). 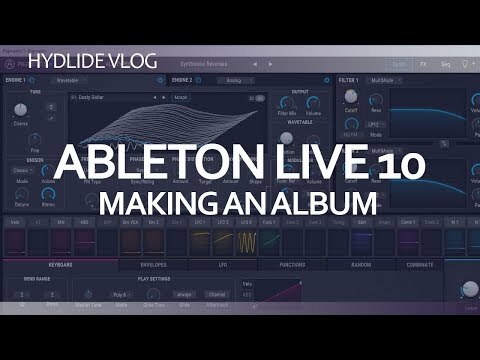 In this vlog entry I am going to talk like as I would make a beginners tutorial on how to use Ableton Live and having the different workflows inside it. While there is one daw in particular that does something similar (Bitwig for instance). Most other daws usually have a linear workflow regarding to make a song. You record a track, layer different tracks and you export the file. Ableton on the other hand (same could be said for bitwig) uses a clip launcher. Which is a unique concept to get things done pretty fast (especially if you use Push 2, or a launchpad for instance). 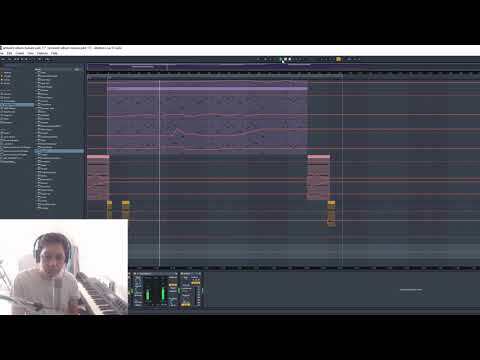 In this video I will explain how the different workflows work with in ableton. And how you can build a track from start to finish. 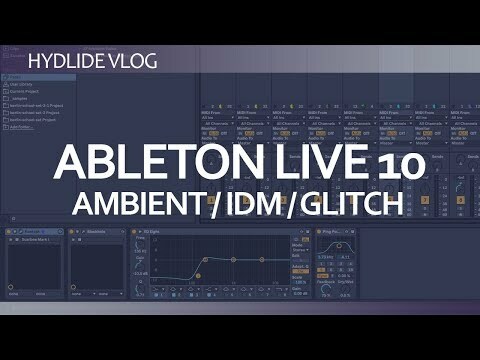 Just make note, there are many different ways to make a song in Ableton Live, and even this video might not cover all major methods. Just saying that out loud. In the following video series I will touch the surface on how to get started with Propellerhead Reason 10. This project is a follow up on an article I wrote a few days back. While I had the idea to make a video series like this long ago (reason 9 even) I skipped doing it because Reason 10 was already announced by the time Reason 9.5 was just released. While I think that R10 will be here to stay for about 18 months or so, it felt proper to do yet another introduction series on what Reason can do, how it works and how to get started with it quickly. Make note, this is a beginners guide, so I won't be showing too many fancy tricks. The whole goal here is to get started quick with this series. Welcome to a new video series about Thor in Propellerhead Reason. In this series I will touch different elements on how to do sound design in Reason. This complete series will be going through some basic elements first trying to answer most of the 'basic' questions that people may be having when looking at a device like Thor for the very first time. Welcome back to another video series about Propellerhead Reason. In this series I am going to display a wide range of different options to product a genre like Goa Trance music in Reason. In this series I am going to talk you through a wide variety of different options regarding to drums, bass lines, melodies, leads and effects. While the examples I am giving in the following series are just a 'few' methods to create Goa Trance, it should be a nice starting point to get things going. What is even better, I am going to provide all the material given in this video as a Reason 9 file. In our previous article, we high lighted the idea on how chemical beats are originally created. While normally the origin is based on hip hop beat. While hip hop beats are played by artists, it will not be a surprise that you can (if you want to) build a chemical beat from the ground up. In theory it is still based on loose samples that get chopped. Thus we can also use static content (lets say: bass drums, snare drums, hi hats, wood blocks, claps and so on) to create a complete beat from scratch. The only real "tricky" part to this is to make it feel groovy. Since with out the groovy part the whole idea is quite lost and it feels soulless. Kind of like mortal kombat (your soul is mine), but then different. Before Reason 6 the devices were all stock devices. In 2012, Reason 6.5 was released. And this came with its own unique platform called Rack Extensions. While Rack Extensions work only in Propellerhead Reason, there are some successful VST ports. A good example is the Legend from Synapse came as a VST and Reason Rack Extension. Same thing could be said about Predator from Rob Papen. While Rack Extension System Development Kit is still being developed, there are new features added per release. A good example is loading up wave tables in Reason 9.2 (which has been added since January 2017) and Panels in the SDK 2.0 (Reason 7). It shows over time that the platform of RE is getting more mature while time progresses. VST in Reason is something people have been requested a lot of times. It has been stated back in the days that Propellerhead will not integrate the VST format. Nor are there any plans regarding integrating VSTs in the Digital Audio Workstation called Reason (yes, we can call it a DAW). At some point in time when Reason 6.5 got released the program got its own unique platform for external plugins. Which is a great step forward. Most of the external plugins as Rack Extensions work seamless in the workflow of the program itself. While this has been there for quite some time there is still an outcry for VST support in Reason. For those who really want to use VST support in Reason, this topic might be for you.